TorishimaGuna again existed to support PT. Pembangkitan Jawa Bali (Java Bali Power Generating Company), abbreviated PJB and government’s 35,000 MW Mega Project by attending conferences and exhibitions held at PT. PJB Surabaya on 24-25 October 2016. 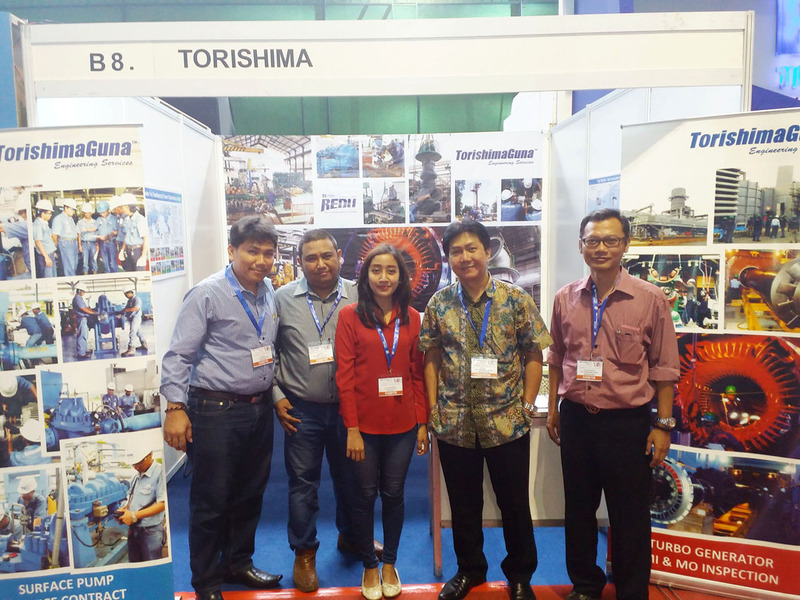 TorishimaGuna Displayed services and own facilities for turbomachinery repair. The event, entitled "Conference & Exhibition of Technology to Support 35,000 MW Operational Excellence” was held at PJB Headquarters in Ketintang Baru of Surabaya area as the initiative to support the mega project of electricity proclaimed by the government through PT. PLN (Persero), and it more specifically presented technical aspect delivered by experts / manufacturers of power generation technologies including ongoing research and development technology worldwide.